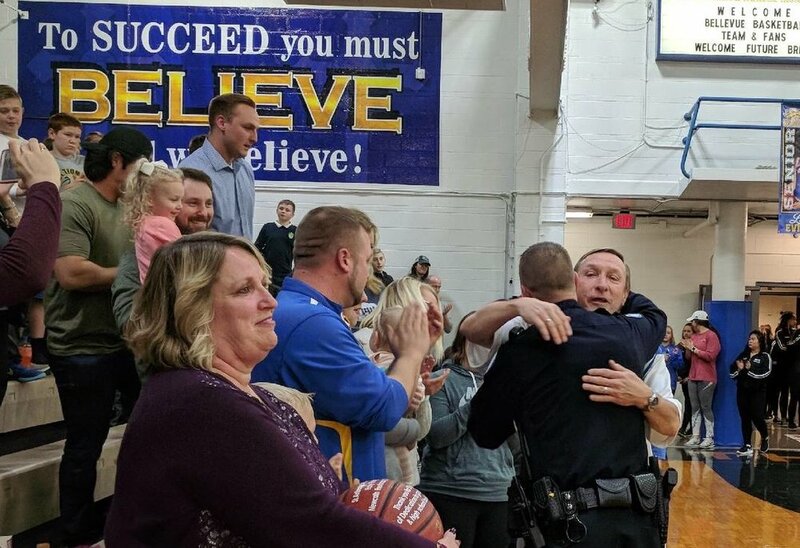 Prior to the NCC versus Bellevue Basketball Game on Thursday, Coach Ralph Meyer was recognized and honored as a dedicated public servant within the Newport Central Catholic and Bellevue communities. Head Basketball Coach Kenny Collopy stated, "With it being grade school night and a game against his alma mater, it was a perfect night to honor Ralph for his 50 years of coaching at the grade school and high school level. He has impacted many student athletes and 50 years of dedicated service is something to behold." After playing basketball and graduating from Bellevue High School in 1970, Coach Meyer began his coaching career for the St. Anthony Tigers and after two years of service in the United States Navy, returned to coaching at St. Michael for many years. Since 1996, Coach Meyer has served on the Newport Central Catholic Boys’ Basketball staff in various roles from head coach to assistant at the freshmen, JV, and Varsity levels. Additionally, he has served as an assistant coach on the NCC baseball staff for the past 10 years. He has been part of an All A State, Regional and District championships under multiple head coaches and also coached all four of his sons at St. Michael and NCC. 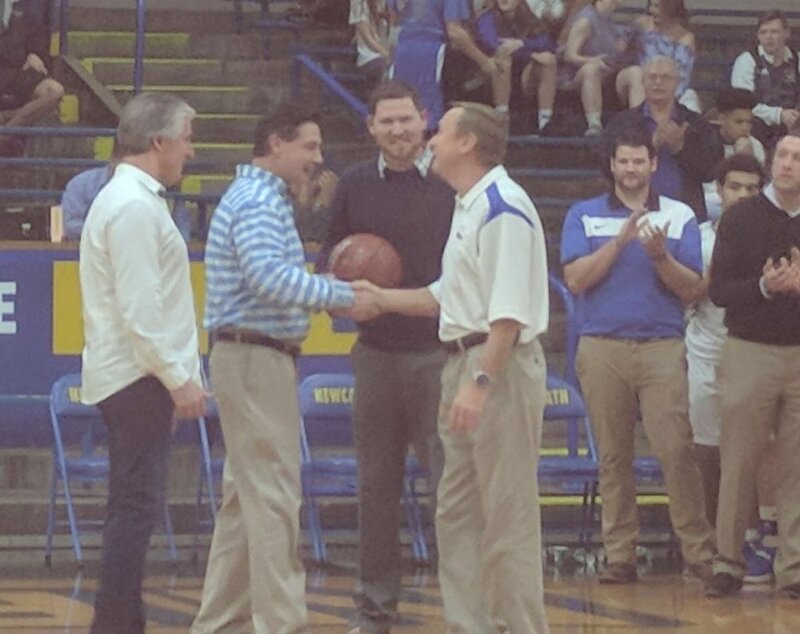 The NewCath and Bellevue Communities thank Coach for his 50 years of coaching and look forward to more to follow.